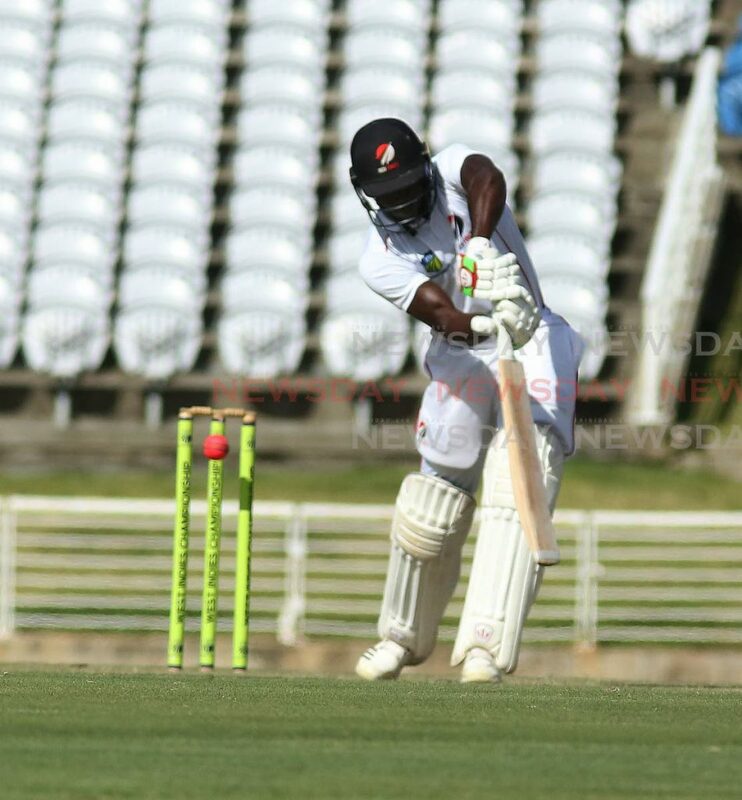 RED FORCE captain Denesh Ramdin expressed frustration with the wicket at the Brian Lara Cricket Academy in Tarouba yesterday, after TT slumped to its third loss at home this season. 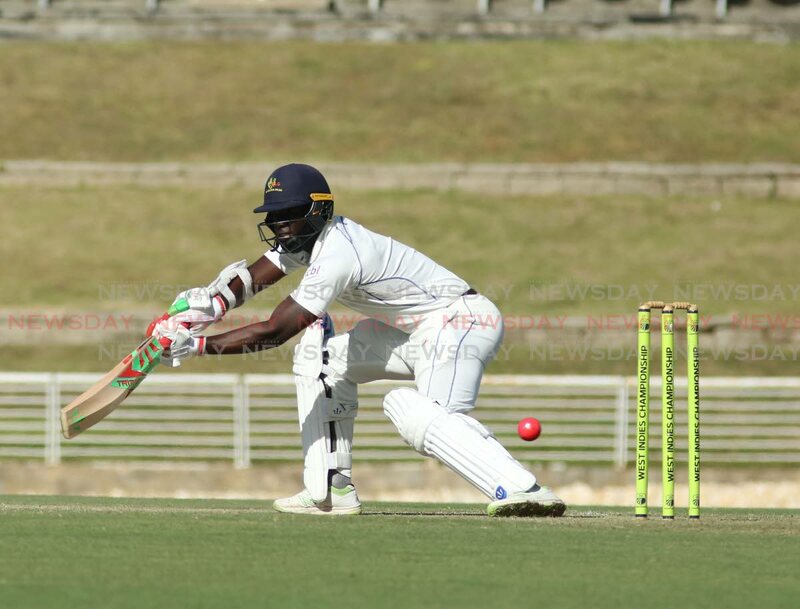 Barbados Pride followed in the footsteps of Leeward Islands and Windward Islands, beating their hosts by seven wickets yesterday at the Tarouba venue. Barbados bundled out TT for just 103 in their second innings yesterday, leaving their batsmen with just 59 to win. TT's only win this year was against Jamaica Scorpions at Sabina Park in Kingston, Jamaica. Speaking to the media yesterday, Ramdin said the venue does not help the team capitalise on their strengths. Ramdin was disappointed that his team could not practice on the wicket at Brian Lara Academy leading up to the match. "It is quite surprising, every time we ask to use here they say it is not for practice," Ramdin said. He added, "It is quite shocking that we only have to use the National Cricket Centre (in Couva). Why are we playing games here and we can't use the facilities? It is very disheartening." Ramdin called on the TT Cricket Board to communicate more effectively and produce wickets that could give Red Force a better chance of being competitive. TT have been producing quality spinners in recent years, but it was the pacers who did the damage in the Pride contest. He said, "I think really Manohar Ramsaran (of the TTCB) needs to get it right. They need to communicate with the captain and coach (Kelvin Williams) with what type of wickets we need, because we probably lost so many games down here (five – two last season, three this season) and we drew one game. If we playing home, we really need home advantage so our spinners could come into play and our batsmen could be in a more comfortable environment." Ramdin, whose team finished last last year and is currently projected for a similar finish, said it was demotivating to be continually losing, but he is sticking with the younger players. "It is really tough having a young bunch of guys wanting to do well (but) not getting the support from them. I am happy to lead the team still. There is a lot of talent there, it is just that guys need to spend time (at the crease); they need to ask more questions to understand and learn about the cricket." The skipper said the young players need to work harder if they want to improve their game. "I would like to see younger players take more ownership, think about the game more, keep asking questions and practice as hard as you can. Two hours a day is not going to cut it. I think guys need to go away from that and do more on their own, because when under pressure you need guys to bat a whole day and not just two hours for you." Resuming the final day on 62 for six in the second innings with a small 17-run lead, TT's Imran Khan and Odean Smith tried to rescue the Red Force innings. After a nervy period at the start of the day, the pair grew in confidence and started to play some shots. However, when Khan fell for 25, with the score on 98, the innings folded as Red Force were dismissed for 103. Smith top scored with 28 and Pride fast bowlers Marquino Mindley (4/47) and Shamar Springer (4/24) took four wickets each. Chasing a meagre 59 for victory, Pride lost two early wickets but the result was inevitable as the visitors eased to 59/3. Jonathan Carter ended on 25 not out. Reply to "Preparing to fail"